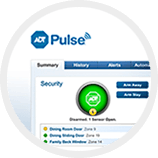 We connect you to ADT, the largest security provider, with Customer Monitoring Centers located nationwide. They can meet the needs of both urban and rural customers throughout the United States. We staff the most experienced, caring, well-trained employees for our installation, customer support and sales teams who are committed to providing you with a security solution. We are a leader in innovative security technology including voice recognition, home automation, real-time video, and much more. 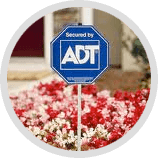 As soon as an alarm signal is received from your home or business, you can trust that an ADT Security Professional will notify you and your local police, fire department or emergency personnel. 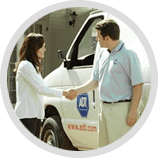 ADT is the only security company that has been providing 24/7 alarm monitoring services to homes and businesses for over a century. When it comes to the safety and security of your family, you can count on their knowledge and expertise. I agree to be contacted by SafeStreets USA for any purpose via voice or text message even if I’m on a Do Not Call list, including to be called back at any phone number provided and any number forwarded or transferred to or from those numbers, including cellular, which may be generated from an automated phone dialing system and/or uses an artificial or pre-recorded voice. I certify these are my own numbers and I will inform SafeStreets USA of any changes. I am not required to consent to make a purchase. SafeStreets is pleased to bring you the best home alarm installation experience. We work with only the best partners and home service providers to help protect the best customers.